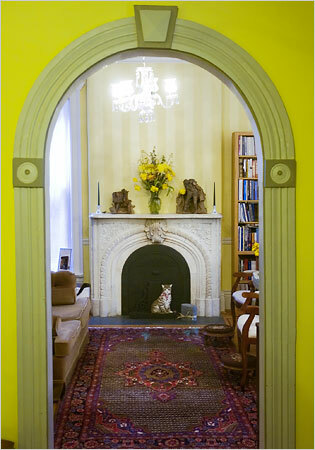 This bold chartreuse, green and red color scheme was featured in the New York Times home & garden section. Ever since I bought chartreuse t-shirt a few months ago I’ve been unsucessfully obsessed with trying to find ways to make this color work. I don’t think I’d be brave enough to paint my walls this color but I could swing some accents. This retro chair could be a good way to bring some chartreuse into my life.